WTSO strives to make the wine experience fantastic from beginning to end for all its members. That's why we work endlessly to bring new features and to refine features we love. Members can give their personal ratings on a particular wine and view the WTSO member average rating. These ratings are collected and shared on the Homepage when a wine is offered. Members can put in personal tasting notes, reminders, or any other information they want to keep track for each bottle of wine they've ordered. Bottle counts are also noted, and members can mark off bottles as they are opened. View the full details and description of collected wines such as the alcohol content, grape varietal, region, professional ratings, etc. Sorting and Exporting: Sort through wines by vintage, grape, personal rating, and more! These notes can also be exported into PDF or Excel format. To visit your own personal "My Cellar" page please click here. If you were to ask WTSO members what their favorite WTSO days are, we're confident that they would all say "Marathon Day!" 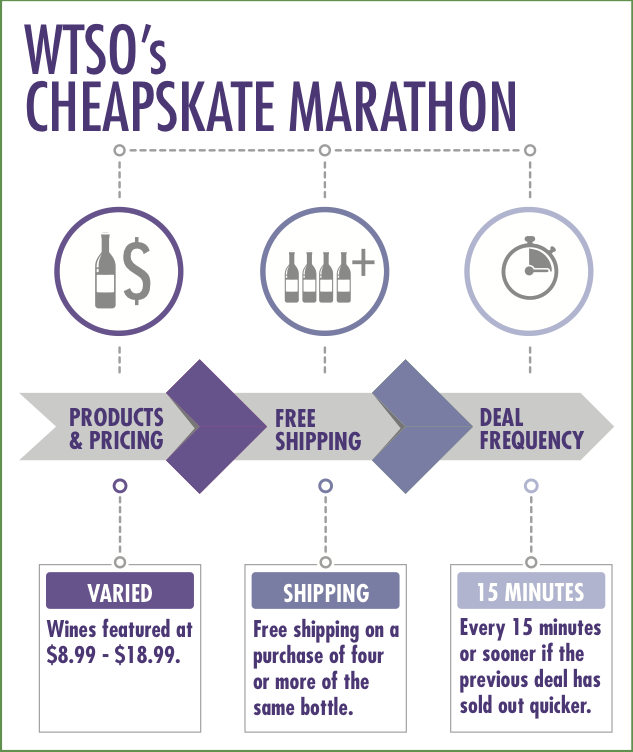 While WTSO regularly offers between 5-7 wines on a typical day, we can go through more than 100 wines in a single Marathon day. For more information about this Marathon Event please click here. WTSO offers "Platinum Membership" to customers who reach a very specific set of criteria. These members enjoy special access to additional benefits, such as additional sales, hidden offers, and a personal wine concierge. For more information about this program, please reach out to wines@wtso.com.